This engrossing book tells the story of a family’s reluctant participation in public affairs at a national level. Marilyn June Coffey’s That Punk Jimmy Hoffa! is a work of narrative nonfiction about the author’s father’s struggle against the Teamsters Union, led by Jimmy Hoffa, during the second half of the 1950s. It is a surprisingly fast-paced and highly personal account of a moment in American history and of those who played major roles in it. The book’s primary narrative concerns Tom Coffey, the owner of a Nebraska-based trucking company, and his fight against the Teamsters, who insisted on unionizing the company’s employees. 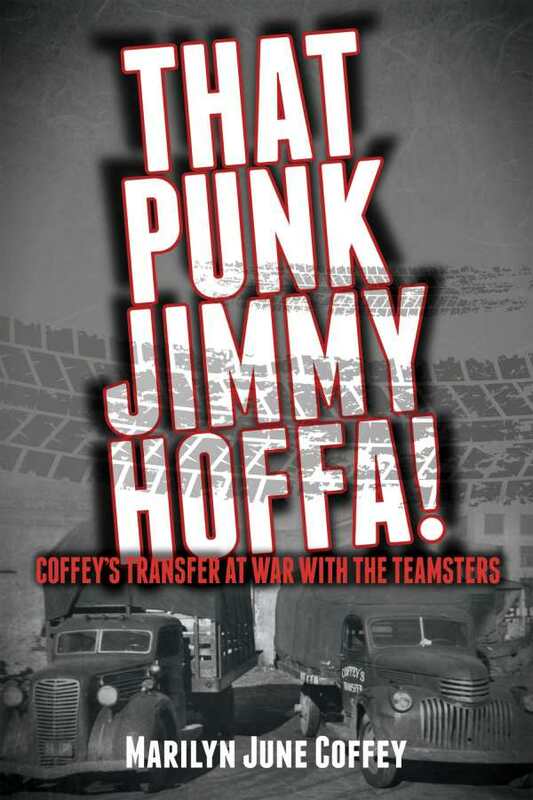 The book details the machinations of the Teamsters, led by Hoffa, as they did all they could to force Coffey to sign a union contract. Coffey resisted them to the point of having to sell his company. After losing his business, Tom Coffey continued to fight the Teamsters, culminating in his testimony before the U.S. Senate Rackets Committee. The book not only shows Tom Coffey’s side of that struggle, but also embellishes the historical record with narrative accounts of meetings between Hoffa and his associates, and interactions between players in the narrative, including Robert Kennedy and J. Edgar Hoover. Threaded throughout the book is the younger Coffey’s own story of how her father’s troubles reverberated at home, and later followed her to college, where news of his failing business was well-known. Later, she got married, got politically active, and came into her own as a writer. The book is composed of very short sections—all or nearly all of them are between one and two pages in length. This makes for fast-paced reading, giving the impression that history is whipping by as it is related. This earns the book a certain creative license, as it delivers private conversations for which there could be no official record. It gets away with this fictionalizing thanks in part to how brief the embellished scenes are. The book is well-researched with an extensive bibliography. Its portrayal of figures like Jimmy Hoffa are no doubt based on historical record. He comes across as brash and pugilistic, reflecting the audacious measures he took to gain and exert power. The purpose of the book is to flesh out a moment in our national narrative, and it accomplishes exactly that. That Punk Jimmy Hoffa! marries a personal account with the historical record. It tells the engrossing story of a family’s reluctant participation in public affairs at a national level.